Guests can choose to stay in Western rooms or in Japanese-style rooms. Rooms are heated and come equipped with a TV and a refrigerator. 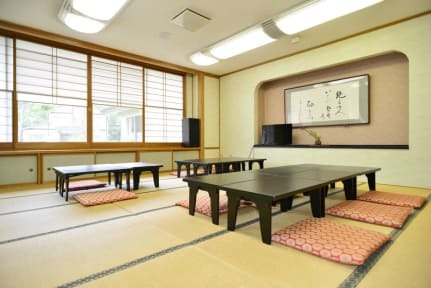 The Japanese-style rooms feature tatami (woven-straw) flooring and futon bedding, while the other rooms are fitted with beds on carpeted floors. Some rooms come with private bathrooms. At Kurobe Alpen Route Aria Hotel, guests can relax and unwind in the hot spring baths, use the shared kitchen to prepare their meals, or use the luggage storage service. Ski storage, ski equipment rental and vending machines are also available on site.